Hi! 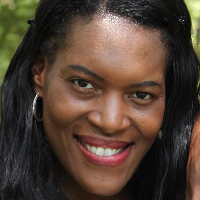 I'm Dr. Nicole Caldwell, I have PhD in Clinical Psychology. I've been providing therapy to clients for over 10 years! I live in Texas with my husband & 3 children. My specialities are in relationship issues, life transitions, anxiety, & various women's issues, including infertility. I have extensive experience with family therapy, adults, and couples. I am trained in cognitive behavioral therapy & utilize existential therapy techniques as well. I also work in media, providing psychological interviews, writing articles, & giving presentations on psychology related interests to the public. My personal interests include spending time with my family, watching sports, enjoying great food & travel. Your goals & growth are my focus in helping you become a healthy & productive individual! When you work with me, you will be provided genuine nonjudgmental interaction with appropriate validation of your feelings & goals. I look forward to working with you! I have enjoyed and benefited from this service. Thank you! Would you like to write a review for Dr. Caldwell? We'd appreciate if you can spend a couple of minutes to write a short review for Dr. Caldwell (PhD). This review would be shared with Dr. Caldwell. It may also be posted in our website or in Dr. Caldwell's profile but it would be anonymous and your identity would be kept completely confidential.